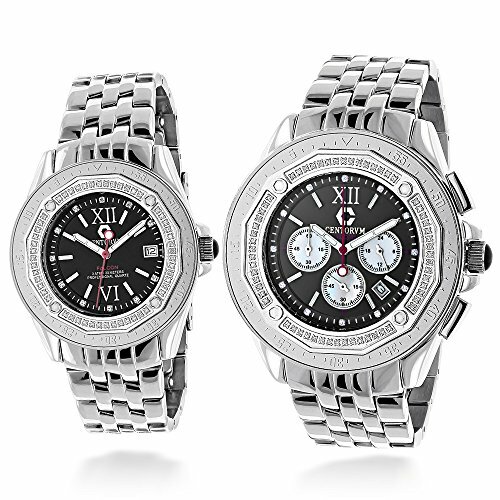 Matching His and Hers Watches: Centorum Falcon Diamond Watch Set: these two matching diamond watches features a unique design and 1.05 carats of genuine diamonds, masterfully set on the rotating black tone bezel of the silver tone stainless steel case. 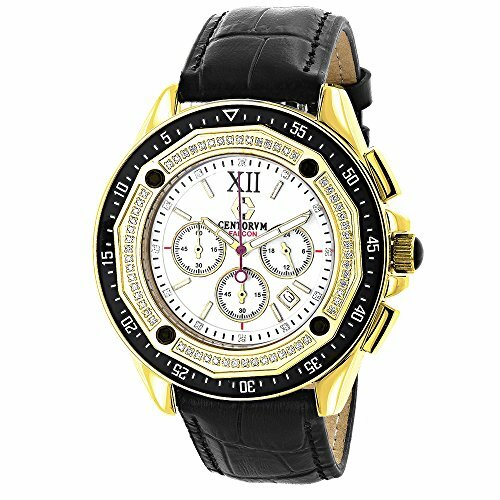 Both of these Centorum diamond watches are conveniently water-resistant to 30m(99ft) and come with a 1 year manufacturer"s warranty. 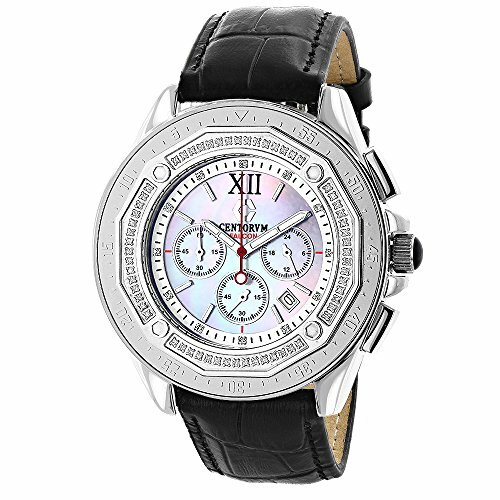 The Centorum Diamond Watch for Her features 0.5 carats of genuine diamonds, has Quartz movement and a date display window at a 3 o"clock position. 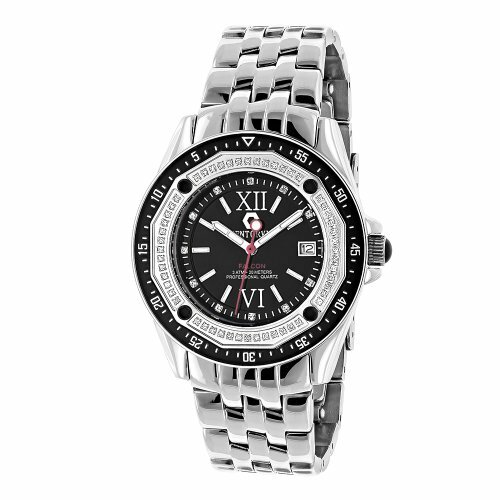 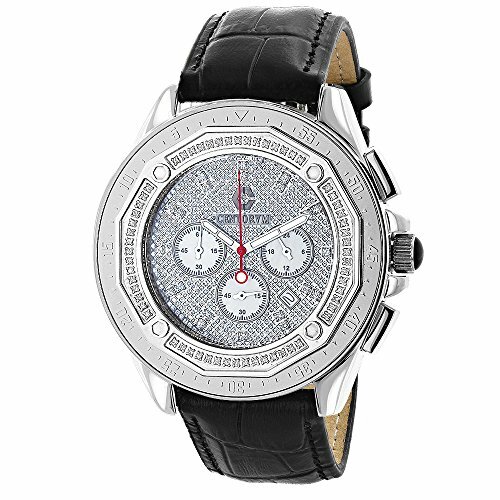 The Centorum Falcon Diamond Watch for Him is paved with 0.55 carats of genuine diamonds, features black face with three subdials, has Quartz movement and a date display window at a 4 o"clock position and a white gold plated stainless steel case and band .